We study the convergence in variation for the sampling Kantorovich operators in both the cases of averaged-type kernels and classical band-limited kernels. In the first case, a characterization of the space of the absolutely continuous functions in terms of the convergence in variation is obtained. 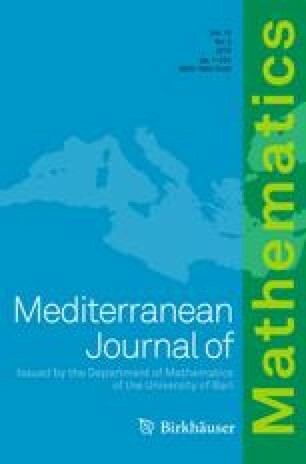 The authors are members of the Gruppo Nazionale per l’Analisi Matematica, la Probabilitá e le loro Applicazioni (GNAMPA) of the Istituto Nazionale di Alta Matematica (INdAM). The authors are partially supported by the “Department of Mathematics and Computer Science” of the University of Perugia (Italy). The first author has been partially supported within the project “Metodi di approssimazione in spazi di funzioni a variazione limitata”, funded by the 2015 basic research fund of the University of Perugia; the second author has been partially supported within the 2018 GNAMPA-INdAM Project entitled: “Dinamiche non autonome, analisi reale e applicazioni”, while the first and the third authors within the projects: ricerca di Base 2017 dell’Università degli Studi di Perugia - “Metodi di Teoria degli Operatori e di Analisi Reale per Problemi di Approssimazione ed Applicazioni”, and ricerca di Base 2018 dell’Università degli Studi di Perugia - “Metodi di Teoria dell’Approssimazione, Analisi Reale, Analisi Nonlineare e loro Applicazioni”.